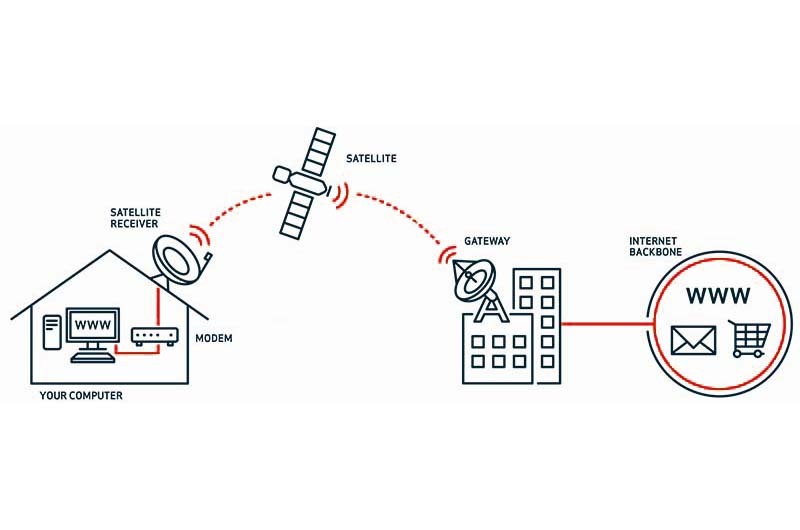 Satellite from Tech5 Group is a cutting-edge, Ka-band, broadband satellite service that delivers reliable, high-speed internet connectivity to users in areas with limited or no internet access, at costs comparable to current terrestrial services. 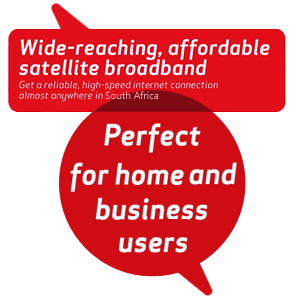 Satellite is available in a range of packages that suit any environment and user segment, right from basic internet access for home users through to high speed service plans for corporate users. Satellite is quick to install, which means that you no longer need to wait weeks for installation or put up with poor signal and cable theft. The need for affordable, reliable connectivity is higher than ever and Tech5 Group Satellite product will ensure that satellite is a viable option for any South African. Satellite internet access works just like satellite TV(e.g. DStv) and operates according to the same technology; namely, a satellite in orbit that communicates with the mini dish outside your home at lightning fast speeds. Highly-prioritised data for access accounts such as ADSL and VDSL.